Most ASMR scenes in movies are created unintentionally. The scenes accidentally happen to have subtle sounds or soft whispers which stimulate ASMR in some viewers. The new movie, “Battle of the Sexes” with Emma Stone and Steve Carell may be the first major motion picture to have a scene which was intentionally created to induce ASMR. This is update #2 about the first full-length feature movie about ASMR titled, ‘Murmurs’. Murmurs is currently in the editing phase, but Graeme has just posted an update on the progress of the movie, an expansion of the production team, and an early response to an initial cut. Spoiler: the first review of the initial cut is quite positive. Below you will find a link to the full details of the production update and information on how you can help to support the continued progress of the movie. I’ve also included links to video clips from Murmurs, video clips of Graeme, a link to the Murmurs Facebook page, and I’ve pasted in the full text of my prior posts. Update to the August 5, 2015 post (prior post included at end of this update). Congratulations to Graeme Cole, the filmmaker producing the cinematic movie, “Murmurs”, about an ASMR artist. His fundraising campaign achieved its goal. The raised funds will assist him in the final steps to complete and market the movie. The campaign site remains open to allow visitors to see his fundraising journey so far, to view video clips from the movie, and to provide post-goal contributions which will further assist him to bring his movie to life. Graeme also has a Facebook page to keep everyone updated about the progress of the movie. Below is my congratulations to Graeme in bold, his reply in italics, a link to his campaign site, a link to his Facebook page, and the prior post which includes a full interview with Graeme and information about the movie. Graeme Cole is a filmmaker who received his B.A. degree in Screen Studies from John Moores University in Liverpool, England. In 2013, he moved to Bosnia where he is working on his M.F.A. degree in Filmmaking from the Sarajevo Film Academy’s Film.Factory. Graeme has been creating independent films for over 15 years, and now he has decided to create a movie about ASMR. 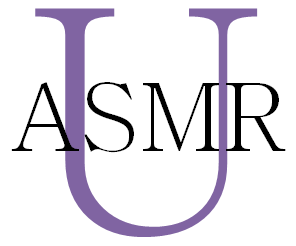 The film utilizes ASMR as a central theme to explore the meaning of intimacy and trust between individuals and within society. This demonstrates a great understanding of ASMR by Graeme. Intimacy and trust are believed by many ASMR video creators, ASMR video viewers, and myself to be at the core of ASMR. The film is almost ready, but he does need some last minute assistance to complete and launch his production. In my interview with Graeme he shares his ASMR triggers (with one of the most poetic and accurate descriptions I have heard about what ASMR feels like), his favorite ASMR artists, his inspiration for the film, challenges with creating an ASMR movie, how funding will be used to complete and launch the production, and more. Below are my questions in bold, his replies in italics, and an Indiegogo link so you can watch clips from the movie and also help support the completion of his production.